Availability If Out Of Stock: Call for current ETA. 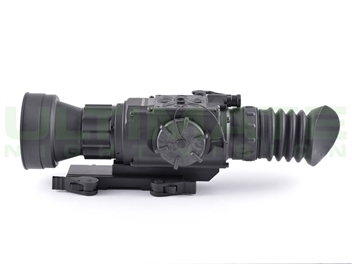 Armasight is excited to introduce its latest and most technologically advanced family of Predator thermal imaging weapon sights to the sporting, law enforcement, and military markets. The Predator product line is based on the latest FLIR Tau 2 VOx microbolometer core. Each model of the line has optimizing performance, price, and state-of-the-art technology for a variety of uses and mission applications ranging from the seriously committed hunter to the military designated marksman. 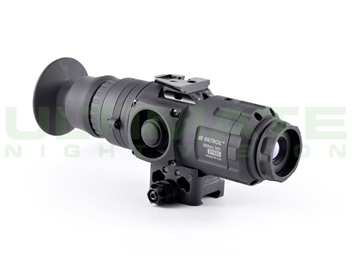 While primarily designed as a weapon scope, the Predator functions equally well in its collateral assignments as a magnified spotting scope or handheld thermal imager. 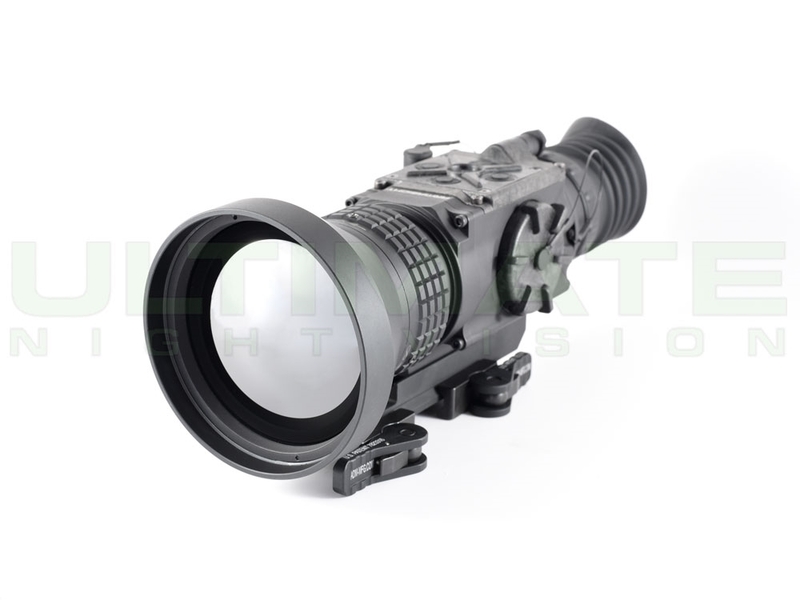 The Predator is a solid state, uncooled, long-wave infrared, magnified dedicated weapon scope intended for day and night engagements without the need to remove the sight from the rifle. The 24/7 mission capability is just one of its many strengths. Thermal imaging technology also allows you to detect targets by cutting through snow, dust, smoke, fog, haze, and other atmospheric obscurants. 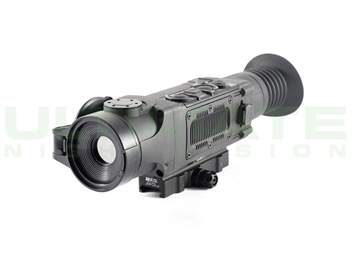 Unlike the use of laser targeting or near-infrared illumination to augment Night Vision equipment, the Predator thermal imaging weapon sight is extremely difficult to detect with other devices, as it emits no visible light or RF energy. 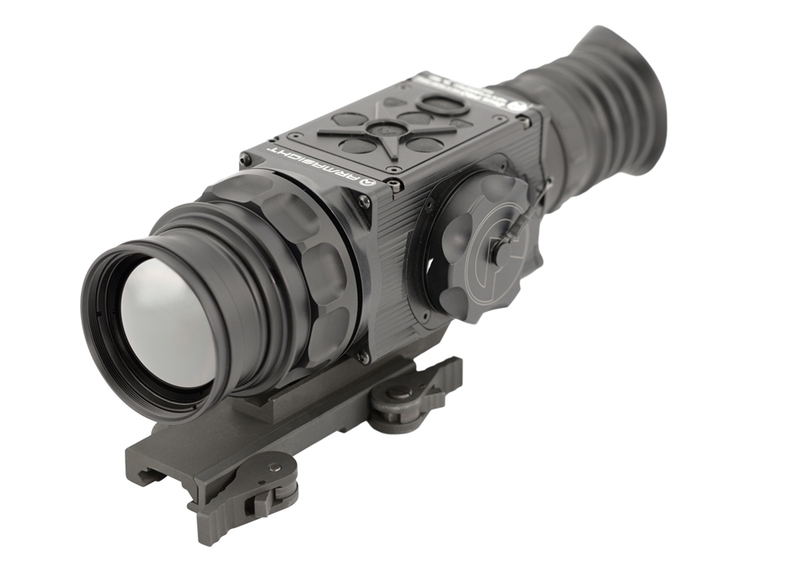 In addition to being the smallest and lightest in their class, Predator thermal imaging weapon sights are characterized by their simple and intuitive controls, functions, and features that are layered among direct button adjustments, direct combination button functions, and electronic menu selections. This “layering” of easy-to-understand control functions provides the operator with a framework for customizing his preferences and exploiting the robust variety of setting options available in the Predator. 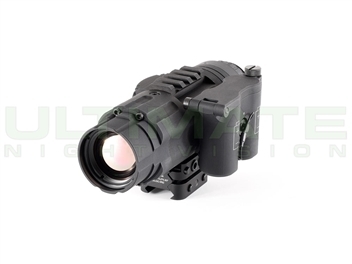 The Predator has a series of selectable color modes based on a rich, upgradeable software package. A wireless remote switch is included to activate the Predator thermal imaging weapon sight when positioned in the “standby” mode. The Predator has the ability to record videos with optional Digital Video Recorder and is also equipped with a video-out capability in operator selectable NTSC or PAL formats. The Predator uses the same multipin connector to provide video-in imagery, where there is a need for map or rangefinder display overlays, and external power access. Predator weapon installation is easy, repeatable, and reliable based on a unique and highly user-friendly MIL-STD-1913/ Weaver/ Picatinny rail-compatible, quick-release locking mechanism. 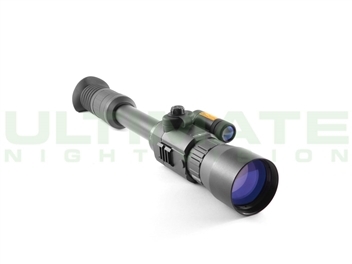 The solid state technology and software algorithms, combined with a complementary color reticle platform, ensures maximum reticle contrast, highlevel target accuracy, and boresight retention that cannot be achieved with mechanical boresight adjusters and traditional ballistic drums. 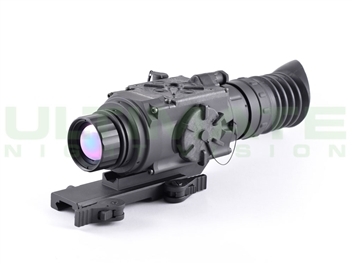 This level of accuracy is translated into the electronic zoom (e-zoom) function of the Predator thermal imaging weapon sights, which can be progressively increased from 1x to 2x and 4x, without changing the pointof-aim to point of-impact relationship of the targeting reticle. 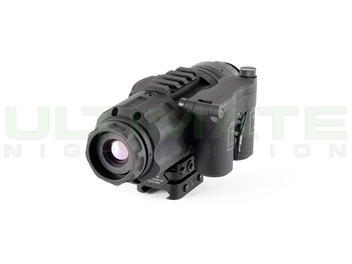 The Predator thermal imaging weapon sight represents one of the most sophisticated sighting devices available in today’s market to hunters, SWAT teams, and military personnel, due to its superior price-to-performance value. Information-Based Histogram Equalization (IBHEQ) – a “Sky/Sea” enhancement – information based environment dependent algorithm that automatically adjusts camera gain and excludes pixels determined to not contain critical information, specifically helpful in scenes with lots of sky or water. User-Controlled Manual Non-Uniformity Correction/Flat-Field Correction (UCMNUC/FFC). There is a mechanical shutter between the camera sensor and the lens. This shutter is used to perform a non-uniformity correction (NUC) also known as flat-field correction (FFC. During FFC, the shutter presents a uniform temperature source to each detector element in the array. While imaging the flat-field source, the camera updates the offset correction coefficients, resulting in a more uniform image after the process is complete. All Zeus models allow for user to manually trigger or interrupt scheduled UCMNUC/FFC function. Our Price: $7,999.00 w/ FREE Accessories!